Genuine QLA dissolution test accessories are designed to be fully USP compliant and are supplied complete with serialisation and certification where appropriate. 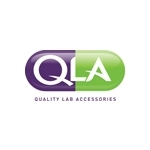 QLA is an ISO Certified Manufacturer. Selecting reliable and compliant accessories is essential to achieve reproducibility and consistency from test to test and can actually improve your results with only minor changes. Buy with confidence: We guarantee all our tablet dissolution test consumables to be equivalent to those from your original dissolution testing equipment manufacturer and will be of equivalent or better quality! QLA dissolution accessories are used by many of the major pharmaceutical manufacturers around the world on many different brands of dissoluton testing apparatus. You can be certain of the best quality tablet dissolution accessories available. All genuine QLA products are manufactured to ISO9001 quality standards & supplied with serialisation and certification where appropriate - this means guaranteed quality, guaranteed reproducibility, and our quality commitment to you! Can't Find The Dissolution Accessory You Need? With new machine shops and moulding facilities, we now have the capability to manufacture custom parts and accessories for most dissolution testers. Simply contact us with your requirements.